'Gat' means excellence or success in one's own power; 'ka' means belonging to or of. Therefore "a person who practices Gatka becomes excellent and successful. Gatka, a traditional martial art, an Indian Art of self defence, was introduced to India around 4 thousand years ago by the Aryans and is the mother of all martial arts. During the entire process of this stylized duel one`s eyes are fixed on the other`s, trying to read the other`s mind and anticipate the next move, leading to immense concentration, alertness, and speed. India is known for its rich cultural heritage and even during the Vedic period, had a rich tradition of games, though mainly played for maintaining physical fitness. Hinduism has always given importance to physical perfection. And during the Vedic period and also during the period of the great epics, the Ramayana and Mahabharata, physical fitness was given prime importance, especially by the kings and the higher-class warriors. It is a style of fighting only with sticks between two Gatka players, intended to simulate the sword and focuses on infusing physical, spiritual and mental fitness. No sharp edged weapons are used in the transformed Gatka game. The present martial art form, Gatka, has been acknowledged as a sport and being played in India and by the entire NRI community worldwide. Now PGA as a registered sports body- is promoting traditional Indian martial art demonstration (individual and team event) from more than 18 districts. Gatka as a sport at national as well as international arena would not only strengthen the bonds of communal harmony and universal brotherhood but also play a significant role in spreading the message of peace and love amongst all comity of nations. The Gatka was only the domain of males, now even the females have been outperforming the males by displaying their rare acumen in the Gatka sport. Hola Mohalla Celebrations were initiated by Sri Guru Gobind Singh Ji on February 22, 1701. Sikhs had got the highest bliss of Amrit as ‘Khanday Di Pahul’ from the Tenth Guru and then the Panj Piaaray (Five Blessed Beloved Ones) on the March 27 Vaisakhi of 1699. They were brimming with high spirits as Khalsa Fauj of Akaal Purakh (Eternal God) and were determined to make unique sacrifices for wellness of Humanity and Charhdikala (Exaltation) of the Sikh Panth. After the Nirmohgarh Battle in 1700, the Tenth Master: Guru Gobind Singh Ji has decided to keep the ‘Khalsa Army’ in readiness for the future Challenges as foreseen and visualized by him. In this perspective, he systematically reinforced the War Exercises in an organized manner in the form of ‘Hola Mohalla’ which literally means ‘Mock Fights’ or ‘Simulated Battles’ of the Army Columns in an organized manner. First ever Hola Mohalla Celebration in Sikh History took place at a place now called ‘Holgarh Sahib’ near rivulet Charan Ganga in Shivalik Foothills of Anandpur Sahib on 1st day of Chayt Month of 1758 Bikrami (February 22, 1701 AD) under the blissful guidance and supervision of Sri Guru Gobind Singh Ji. Hola Mohalla was an effective step in the direction or War-Preparedness of Sikhs wherein Marshal Arts were integrated with the Social Festivities to create enjoyable, self-motivating and perennial enthusiasm. Whereas ‘Holi’ is the widely celebrated traditional Indian Festival of rubbing dry colors and sprinkling water mixed colors amongst the people in playful festivity, ‘Hola Mohalla’ on the next day after Holi is the ‘Marshal Arts Festival’ of Sikh Colorfulness, High Spiritedness and Delightful Exaltation. Besides the colorful displays, Sikhs of all ages adorn colorful dresses on Hola Mohalla. Throughout the Sikh Habitations in the World, Hola Mohalla is celebrated with great fervor on commencement of former Bikrami and currently the Nanakshaahi first Month ‘Chayt’ of the Indian (Desi) Year around middle of March. Hola Mohalla Celebrations have become really a great attraction for the Sikh Youth and Children throughout the World, besides the Elders of all ages. 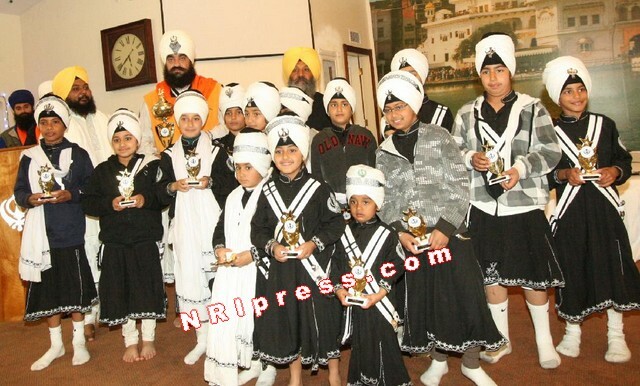 the local Teams of Riverside Warriors, both Junior and Senior, stole the shows by topping in the Gatka Competitions. First, for these very well deserved achievements, laudable Credit goes to all the Participants who practiced very hard days and nights for months together with utmost zeal, dedication and consistency; their Parents supporting them with their continuous Presence, Backup and Seva in the Gurdwara Sahib throughout the preparations. Then high Commendation must be for Anchor, Guide and Motivator of the Great Show: S Jatinderbir Singh, a successful Professional Entrepreneur of Riverside. 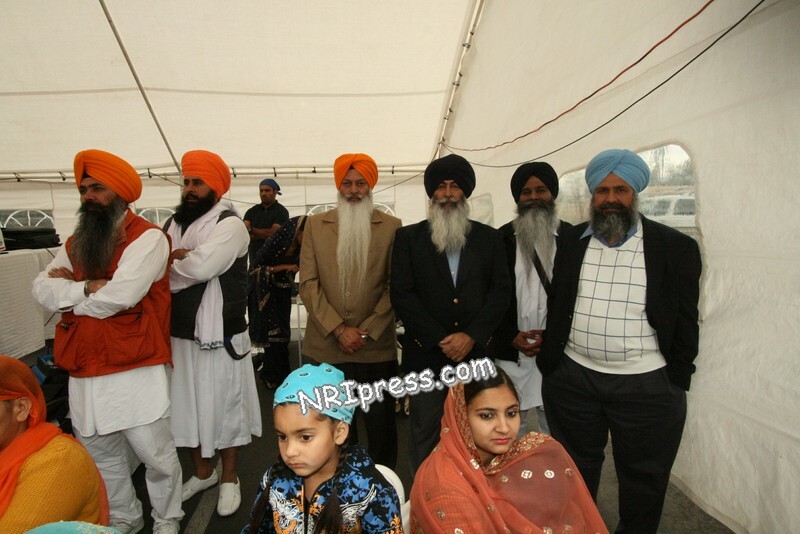 He has infused astounding enthusiasm in the Sikh Youth and Children of Riverside Area Community. 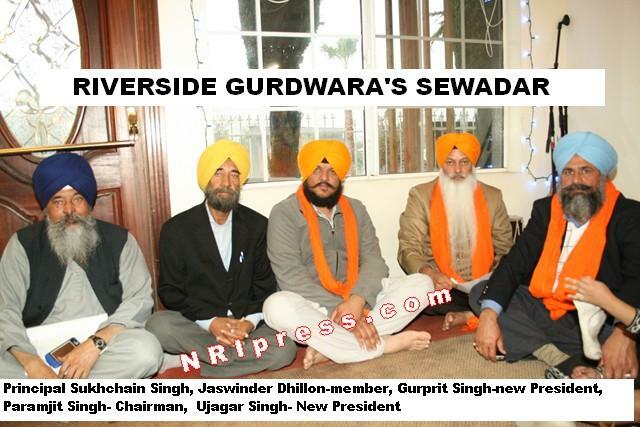 Such a laudable effort is being wholeheartedly supported by the dedicated Management Committee Members and Sangat Stalwarts of Riverside Gurdwara Sahib. Such laudable efforts to motivate, guide and elevate Sikh Youth must continue with Blessings of Almighty, Grace of Gurus and devout support of the Communities around.